Ku Bar is the ideal after-work hangout with great offers throughout the week. The bar features walls of flatscreen TVs playing music and arty videos. 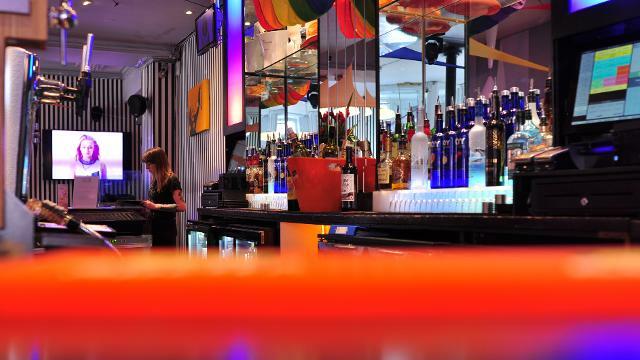 Spread over three floors with a capacity of 500, Ku Bar is one of the largest gay bars in London and is just moments away from Leicester Square. With DJs playing seven nights a week, KuKlub is the perfect mid-week and weekend club playing current and all-time party floorfillers. There's also a champagne bar. Is Ku Bar your business?